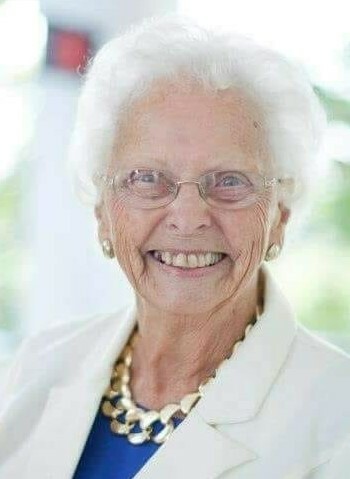 WARSAW – Lois Viola May Lonsinger, 89, of Warsaw went home to be with her husband of 65 years, William W. Lonsinger, on Tuesday, March 19, 2019 at the Coshocton Regional Medical Center. She was born February 7, 1930 in Coshocton to the late Forrest Tane and Thelma Faye (Mobley) Lawrence. Lois was a 1948 graduate of Coshocton High School. She worked for 13 years at Kroger’s and was a homemaker. She joined the Dutch Run Church of Christ in 1951 and served as a Sunday School teacher for 33 years. Surviving is her son, Jeffrey (Pam) Lonsinger of Coshocton. Son-in-law, Jon Kissner of Hilliard. Grandchildren, Tiffany (Brian) Boggs of Frazeysburg, Meghan (Jonah) Green of Nashport, Jacie (Michael) Fenn of Fresno, Anna (Chris) Brown, Kelsey Kissner, & Ross (Susie) Kissner all of Hilliard, O’Del Lonsinger of Coshocton, Beau (Hayley) Lonsinger & Nathan (Taylor) Lonsinger of Coshocton. Step grandchildren, Courtney & Cory Wood. Great grandchildren, Brady, Skylar, Sydney, Madison & Samantha Boggs, Carter & Drake Fenn, Hunter Hoy, Heidi & Teddy Brown, Sophia Lonsinger, and Lane Green. Sister, Jane (Jim) Cognion, and brother, Richard (Nancy) Lawrence. She was preceded in death by her husband, William W. Lonsinger, whom she married Nov. 5, 1952, he died Nov. 6, 2017. She was also preceded in death by her daughter, Barbara Kissner, her son, Gregory Lonsinger, an infant daughter, a great granddaughter, Lola Jo Green, her sister, Betty Dunphy, and her brother, John Lawrence. Funeral services will be held Friday, March 22, 2019 at 1:30 p.m at the Fischer Funeral Home in Warsaw with Pastor Mark Granger officiating. Burial will be in the Valley View Cemetery at Warsaw. Visitation is from 3:00 – 5:00 p.m. on Thursday, March 21 at the funeral home. Memorial contributions may be made to the River View Community Park/Village of Warsaw PO Box 399 Warsaw, OH 43844 or Dutch Run Church c/o Joyce Frazee 7660 Goodall Rd. Mount Vernon, OH 43050.